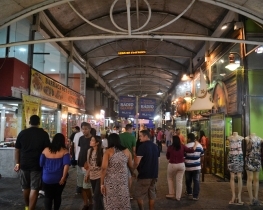 I would recommend this place only to those who have already seen everything in Rio and are looking for something different. Also, if you are highly interested in history, ethnology and archeology, then the local museum is a must for you. The museum's building is in a bad state, but its collections are quite impressive. 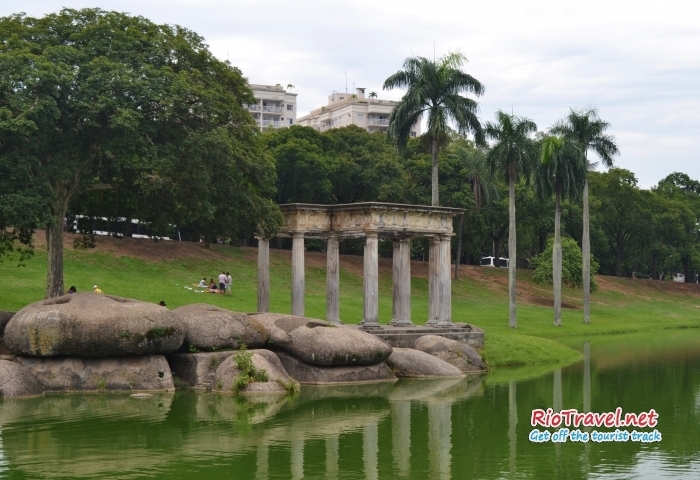 Otherwise there is nothing spectacular in Quinta da Boa Vista, just a large urban park, very popular among locals from the proximate neighborhoods of Zona Norte. It´s a big city park and not the coziest one. It has very wide roads, many of them asphalted, taking away all coziness and natural feel that a park should have. It is not created with care, but rather with industrial efficiency in mind. 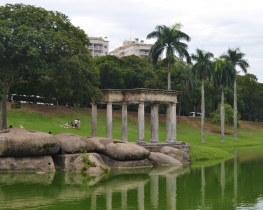 On the territory of the park you can find the National Museum of Brazil, which has a good collection of artifacts from different periods of Brazils history. 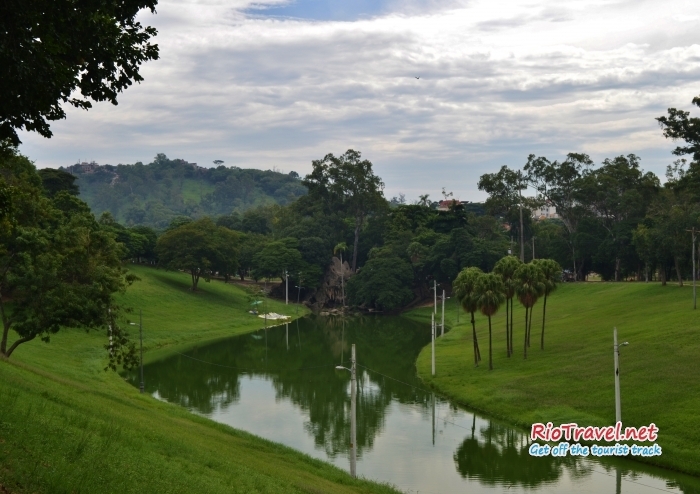 Also right next to the park is Rio´s Zoological Garden. Quinta da Boa Vista translates into "estate with the good view". 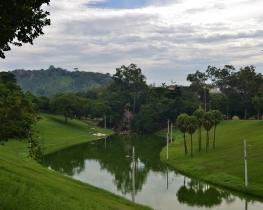 It is a big urban park, located in São Cristóvão neighborhood in Zona Norte. 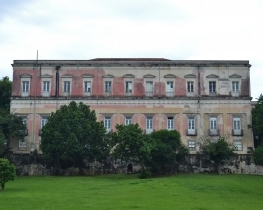 At the center of the park lies a palace - Palácio de São Cristóvão. 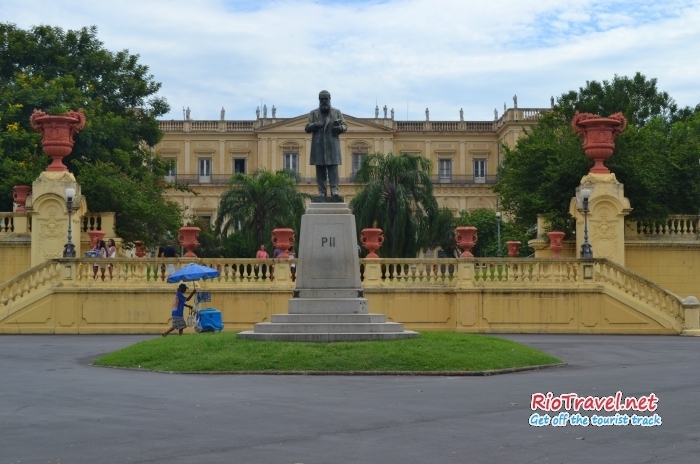 In the 19th century the palace was used as emperors residence and the park area was part of the royal gardens. 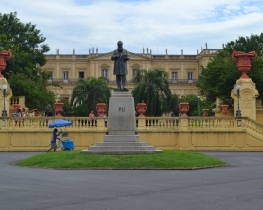 Nowadays the palace houses National Museum of Brazil. 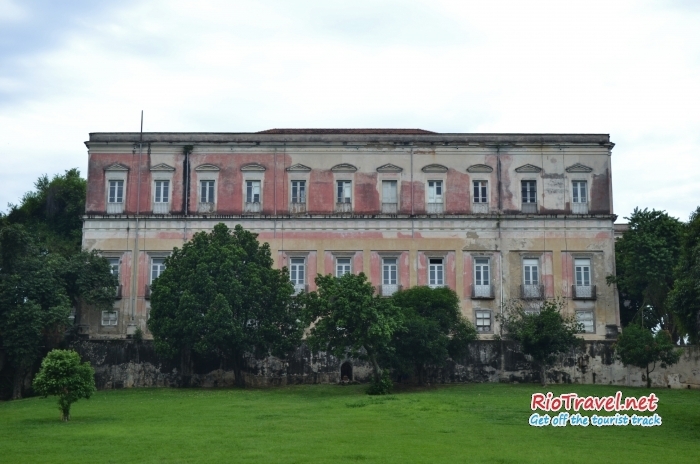 The museum itself was established in 1818 by the king of Portugal Dom João VI, and moved into the palace in the end of eighteen hundreds. Throughout the history various emperors as well as many foreign scientists contributed into the museum's collection. The collection includes astronomy, palaeontology, natural history, ethnology, archeology. Unfortunately on 3rd of September 2018 the Museu Nacional was burnt down in a huge fire. All of the building of the museum along with over 10,000 artifacts were destroyed by the fire. It was a huge blow to Brazil as well as the world wide historical artefact collection. It is not a safe neighborhood. The park has guards and police presence, but the surronding area can be dangerous for a tourist. Leave your valuables at home. You can take the metro, as it is close to the park. 1. Take metro to São Cristóvão station. 2. The park is accross the road from metro entrance.